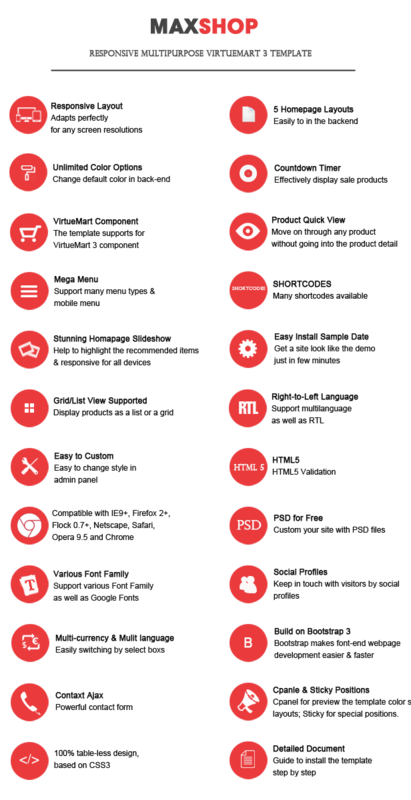 With VirtueMart 3 component and latest YT Framework, YT Shortcode versions, SJ Maxshop provides dozens of advanced features that make it really easy to use and customize. 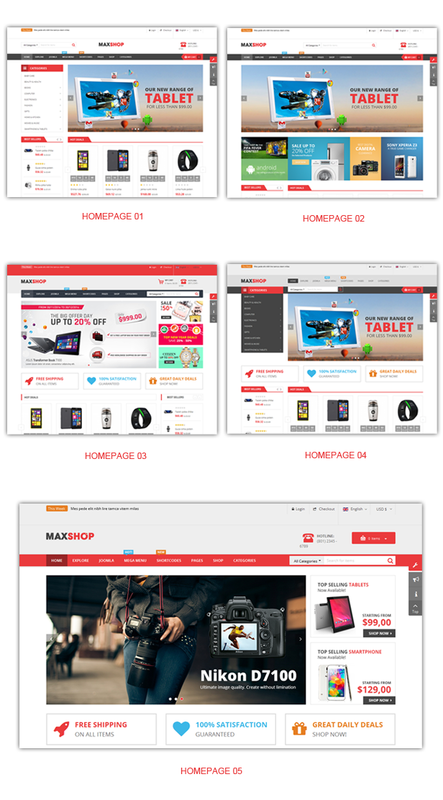 Besides, Maxshop supports 5 distinguish homepage layouts and 5 color variations for user choosing. Let's explore this eye-catching template and get the real experience now! 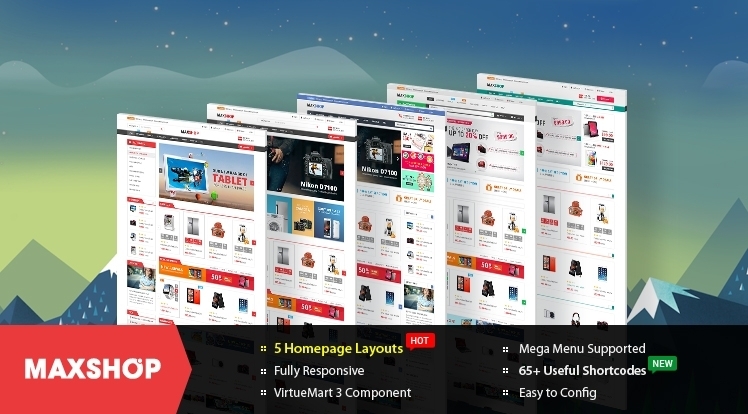 The powerful Joomla template framework - YT FRAMEWORK V2 is flexible with Bootstrap3 at core. You can easily customize most of SJ Maxshop parameters. 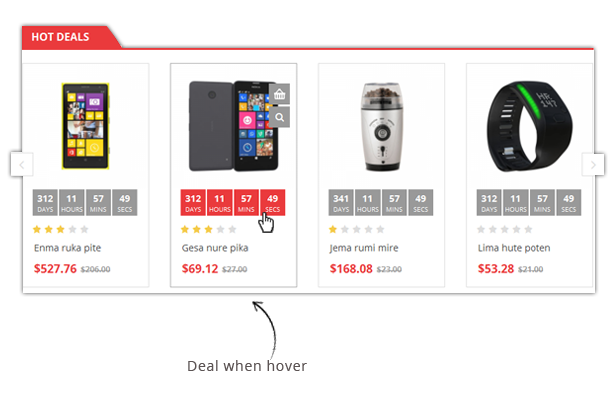 Each page can have it's own custom header with different height and background image or slider. 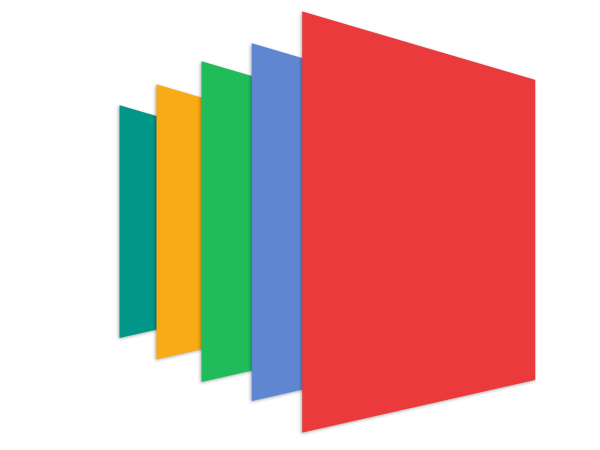 SJ Maxshop comes with 5 Preset Color Styles: Red (default), Blue, Green, Orange and Cyan. You can also totally change your color for all params: body, header, spotlight, footer... by using c-Panel. 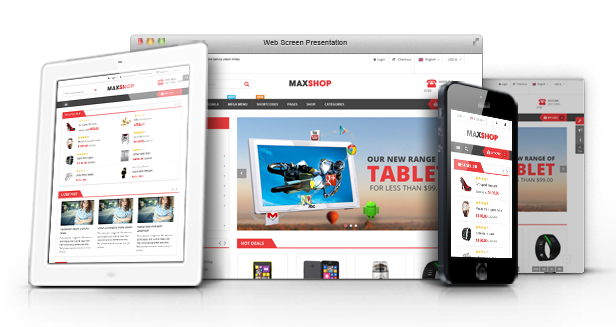 SJ Maxshop is fully and looks delightful across different devices and screen layouts as well. 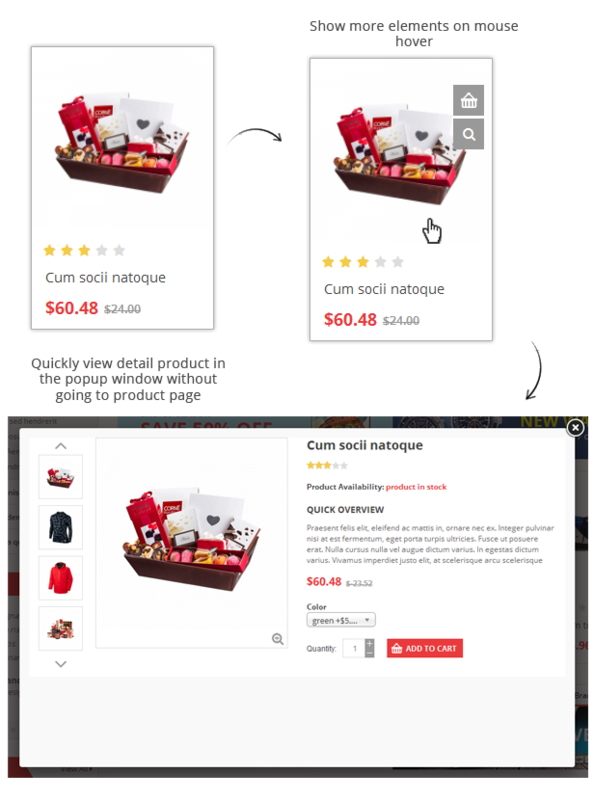 Built on VirtueMart 3 component, you can quickly build and manage a dynamic online store with full functions. 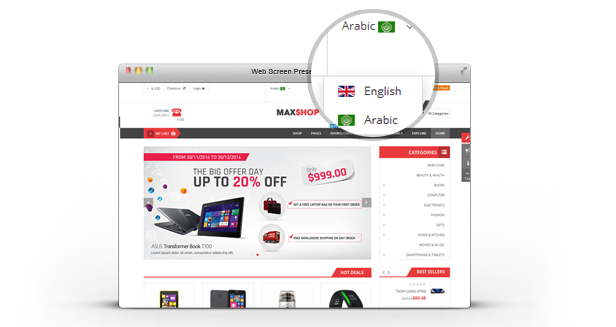 SJ Maxshop is fully right-to-left language ready. Switching between different languages is very easy now. 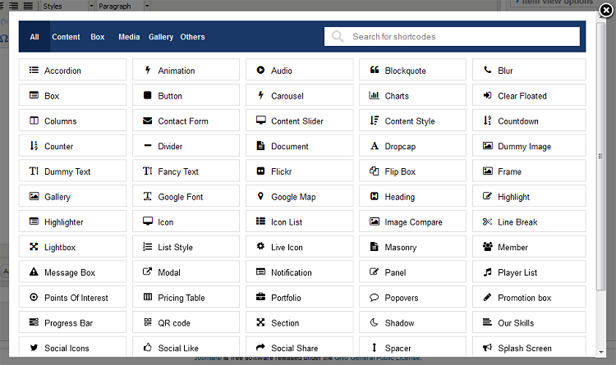 Built with latest YT Shortcode version, SJ Maxshop is available with 65+ useful shortcodes. All you have to do is choose shortcodes you like from the library and do some tweaks.